Go way beyond expectations with the 72 in. 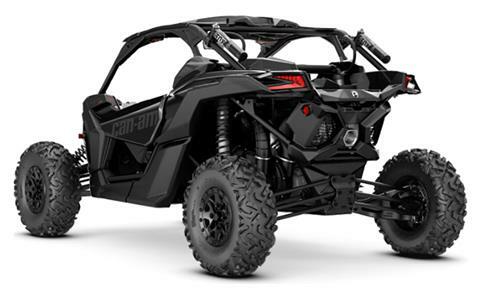 wide Maverick X3 X rs Turbo R. It's ready to fall in line with FOX 2.5 Podium Piggyback shocks with QS3 compression control, 172 horsepower, Smart-Lok technology, and 2 or 4 seats. EXTEND YOUR REACH: Here's what happens when our engineers and racers need a bigger envelope: The 72 in. wide Maverick X3 X rs Turbo takes its race-winning TTX suspension geometry to the line with high-performance shocks, wheels, and tires matched for complete control. If you’re craving a blast across wide-open terrain and routinely put stability to the test, this is the setup for you. JUST BEASTLY: Meet the king of side-by-side engines, the precision-engineered, industry-leading triple-cylinder Rotax ACE engine. Its 172 horsepower at 7,250 RPM and 124 ft. lb. of torque at 6,500 RPM give searing speed, no matter the terrain. Tell your friends: 0-60 MPH in just 4.4 seconds*. *Based on BRP internal testing. 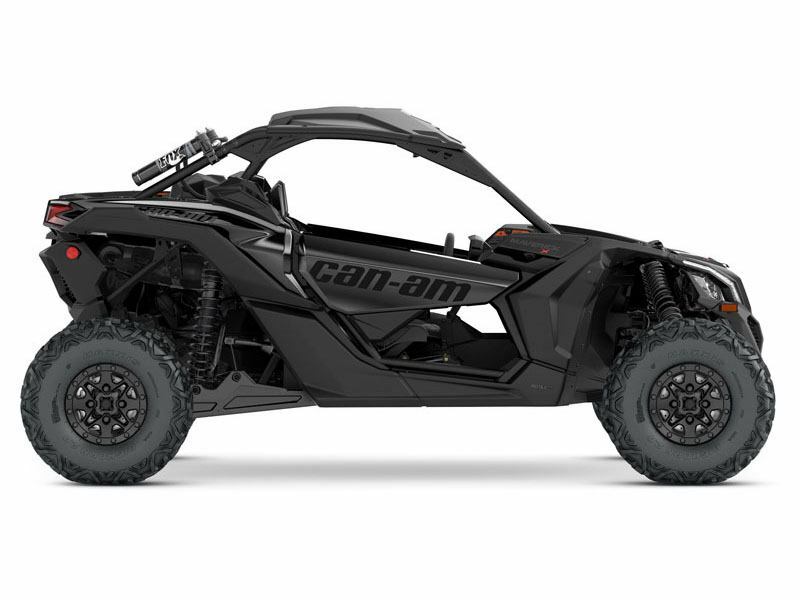 WITH THE WIND: With an intake and exhaust tuned to maximise power, efficiency, and throttle response, the Can-Am Maverick X3 will never be starved for performance. Three oversized, out-of-the-way intakes feed the engine and the CVT with clean air and keep temperatures low, with a sport exhaust out back to let the Rotax ACE engine roar. 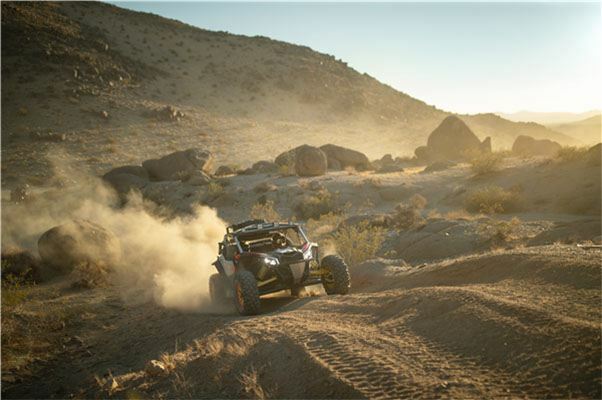 PROOF IN THE POUNDING: BRP's four-link TTX suspension with 24-in of travel features a trophy truck-like trailing arm and three links dedicated to controlling camber while delivering optimal geometry at all times, even during extended wheel travel. The result? Unparalleled power transfer to wheels, virtually no bump steer, precise steering response, and more confidence at higher speeds. DRIVER FOCUSED: Everything is in its right place, from the sports car-like centered accelerator and brake pedals to race-inspired, flat-bottom steering wheel that tilts up or down 25°. The four-way adjustable seats – 2 inches in height and 6 inches in slide, ease of accessorization, and integrated wiring allow it to truly adapt to its owner. PERFECT POSITION: Its low seating arrangement is designed to encapsulate both driver and passenger so they feel connected to the vehicle’s every move, without compromising ground clearance. Its high and dominant posture is enhanced with race car-inspired one-piece molded seats with ideal support, weight distribution, and 4-way adjustablility. 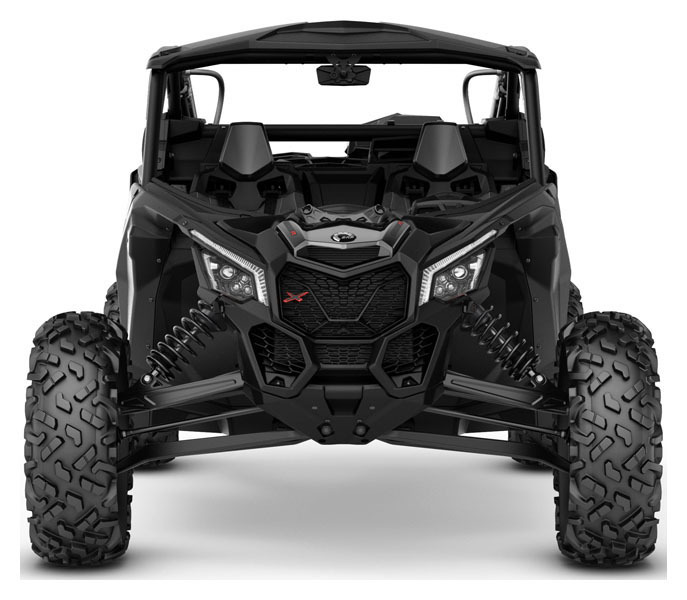 UNMISTAKABLY FIERCE: The Maverick X3 X rs' intensity comes from a mix of performance-driven mechanical and structural design, from its signature LEDs to its advanced cockpit. WHEELS AND TIRES ON LOCK: Keep rolling strong with 14-in cast-aluminum beadlock wheels and 30-in. Maxxis Bighorn 2.0 six-ply tires. Built to withstand rough terrain, sturdy lugs and a non-directional tread pattern ensure a smooth, precise ride. 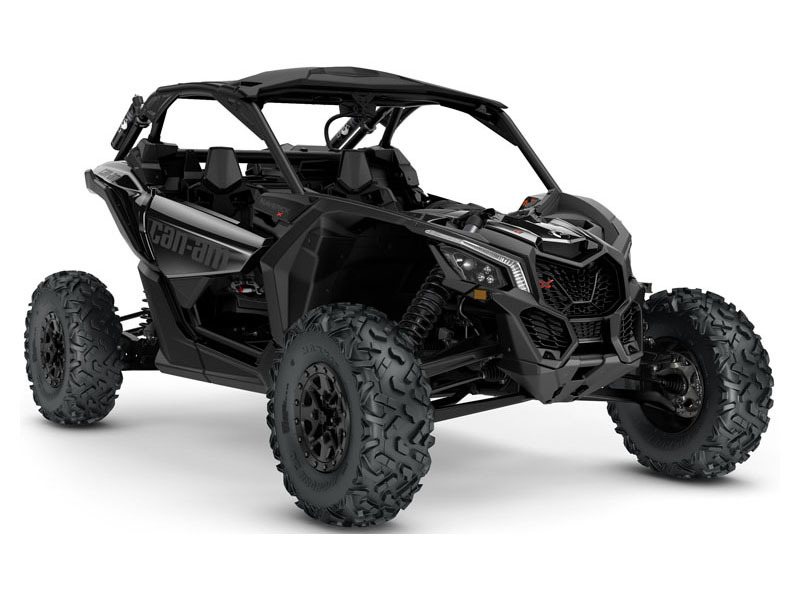 ADVANCED SUSPENSION: The Maverick X3 X rs Turbo R is equipped with fully-adjustable FOX 2.5 Podium RC2 Piggyback shocks with bypass and dual-speed compression and rebound (front), and class-leading FOX 3.0 Podium RC2 shocks with remote reservoir with bypass and dual-speed control at higher speeds. SERIOUSLY EQUIPPED: For extra protection, the X3 MAX X rs Turbo R has a 4-point harness with shoulder pads, a full roof, and a heavy-duty full HMW (High Molecular Weight) skid plate honed to play hard on rough terrain.